ASU players take the field before the Sun Devils 49-7 blowout win over the UTSA Roadrunners at Sun Devil Stadium in Tempe, Arizona, on Saturday, Sept. 1, 2018. Graphic published on Tuesday, Oct. 23, 2018. It was a topsy-turvy week for ASU men's basketball. After losing a game the team was expected to win, the Sun Devils dominated the Pac-12’s top team, leaving their tournament hopes in limbo. The crushing loss against Washington State being followed by an ensuing victory over Washington is representative of ASU’s season so far; the team has often failed to play well against inferior opponents while dominating the tougher ones. ASU’s first conference win came against the Buffaloes in convincing fashion. The Sun Devils won by 22, but things may not be as easy this time around. Colorado is coming off a road sweep of the southern California schools, a feat ASU could not accomplish. A week ago, the composite index would have given ASU a significantly higher chance to win, but now it is only given a 56 percent chance to win. However, ASU’s offense will have a good chance to carry the team to another conference win. Colorado’s defense gives up more points per game than 95 other teams, and ASU scores more than any other team in the conference. Colorado might score more than last time, but ASU’s high-powered offense, led primarily by Remy Martin, will earn them a big conference win. ASU opened conference play against Utah, suffering a tough loss that remained as a major hamper to the Sun Devils’ tournament hopes. Like Colorado, the Utes also swept UCLA and USC, and can climb up the conference rankings with another win over ASU. The composite index favors the Sun Devils, however, and ASU’s conference leading offense looks likely to earn another win. Utah ranks 226th in the nation in scoring defense and 237th in opponent shooting percentage. ASU’s sharpshooters Rob Edwards and Kimani Lawrence shouldn’t have a hard time getting open shots, and if they get into a rhythm from outside, the Sun Devils could easily secure this win. I expect Zylan Cheatham to make his presence felt in this game as well. ASU is still chasing its first road sweep under head coach Bobby Hurley, and this week presents as good a chance as any. The composite index is formed by combining our own “Power Index” with other rankings and ratings. Read below to see specifics about how the composite index is formed. The primary component of the composite index is a custom "power index" which combines various player/team unit rankings and scores to create one number that tells how good a team is overall. However, because the custom index does not account for in-season changes, ESPN's BPI, Sagarin rankings and national composite scores are factored in as well. After each of these scores are found for each team, the median and average of those scores for each team is calculated. The median and averages for each team are then averaged together to find the composite index score. To predict games, the composite index scores for each team in the game are added together, adding 10 points for the home team. After that, the composite index score for each team is divided by that total to find win probability. 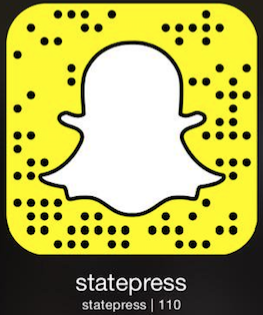 Reach the reporter at nkhedges@asu.edu and follow @nicktrimshedges on Twitter.